When I first tasted this ice cream, I couldn’t believe that it could be this delicious. You know when something is just SO good you keep digging your spoon in almost subconsciously (Please tell me I’m not alone) ? That is what happened here. Before I knew it I had eaten half of it. And look, I’m not the biggest ice cream fan. I would much rather use up those calories on a burger but damn, this is some good stuff. 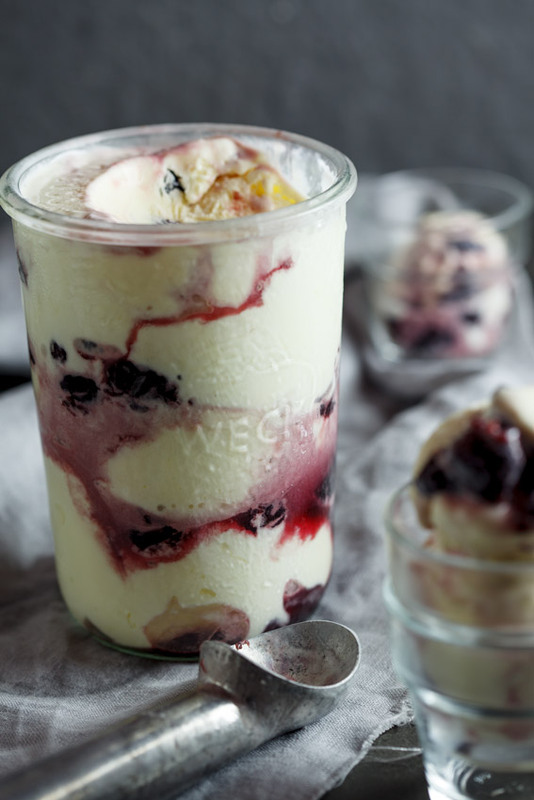 The crème fraîche makes this ice cream so ridiculously creamy, it’s almost buttery and the cherry compote is the perfect tart component to break through that richness. I also love how the cherries become chewy and almost toffee-like in texture once frozen. 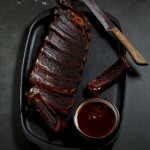 This is definitely one of those stand-out recipes that will have your family and friends swooning. Guaranteed! Combine the cherries, sugar and lemon juice in a small saucepan and allow to cook over a low heat until the mixture is jam-like. Remove from the heat and allow to cool down. The mixture should be completely cool when layering with ice cream. In a bowl, whisk the sugar and egg yolks until light and creamy. In a saucepan, heat the crème fraîche and milk until it reaches boiling point then temper over the sugar and egg yolk mixture. Allow to cool down then churn in an ice cream machine according to manufacturer's directions. 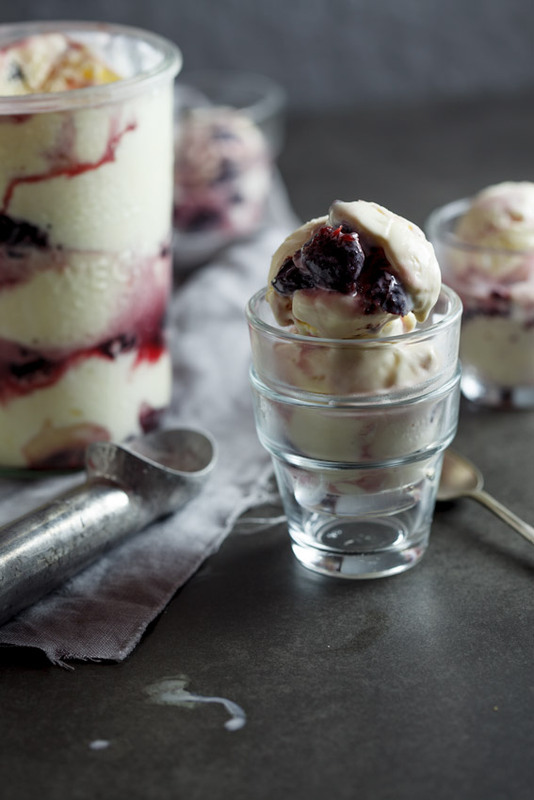 Once churned, scoop a few spoonfuls of the ice cream into a container then add a few spoonfuls of the cherry compote. Continue layering then cover with a lid/plastic wrap and store in the freezer until ready to serve. I’m mesmerized by these photos, and then after reading the description of the ice cream I’m completely obsessed with it! 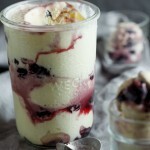 I’m going to try using creme fraiche in my next ice cream recipe, thanks for a great post!